A number of leadership opportunities are offered to our Senior Russley School students: Student Council, House Captains, Librarians, Peer Mediators, Road Patrollers, Junior School Supervisors, Buddy Readers, Sound Technicians, Lunch Monitors, Sport Shed Monitors. Student Councillors work alongside the Deputy Principal on projects such as the school environment, social acitivites and charity work. House Captains, Student Council and the Lead Mediator attend the National Young Leaders Day. 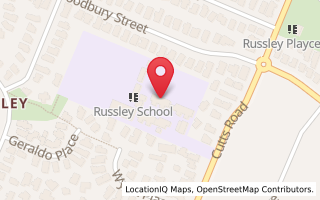 Russley School provides a friendly and exciting environment for children to learn. We are lucky enough to have four learning teams led by supportive and caring teachers and teacher-aides. We have lots of super students who support and care for new students starting at Russley. Russley teachers guide us to strive to achieve our goals and personal best. We have cultural, sport and music groups that students can join including ukulele orchestra, drama club, chess clubm robotics club, and many more. Russley offers its students a lot of opportunities over their eight years here, such as winter sport, Student Council, Cantamath, Otago Problem-solving, House Captains and much more. We look forward to you joining our Russley family.